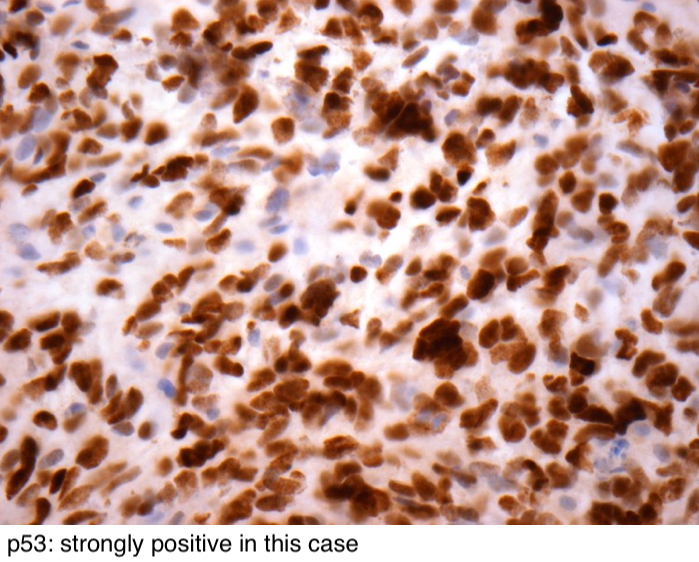 Cite this page: DeWitt J. Diffuse midline glioma, H3 K27M mutant. PathologyOutlines.com website. http://www.pathologyoutlines.com/topic/cnstumordmgh3k27m.html. Accessed April 25th, 2019. 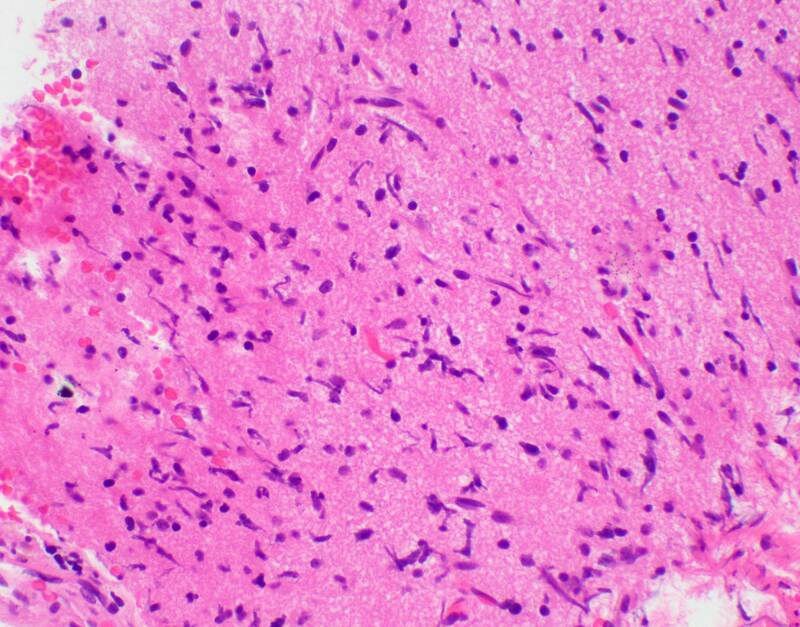 Comment: The specimen consists of core biopsy specimens of white matter with moderately atypical infiltrating astrocytic tumor cells. 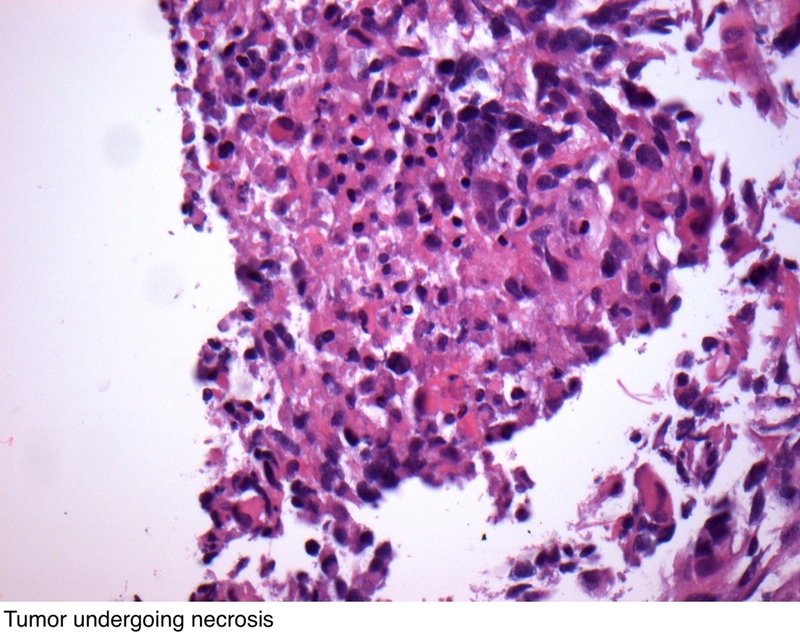 There is no evidence of vascular proliferation or necrosis. 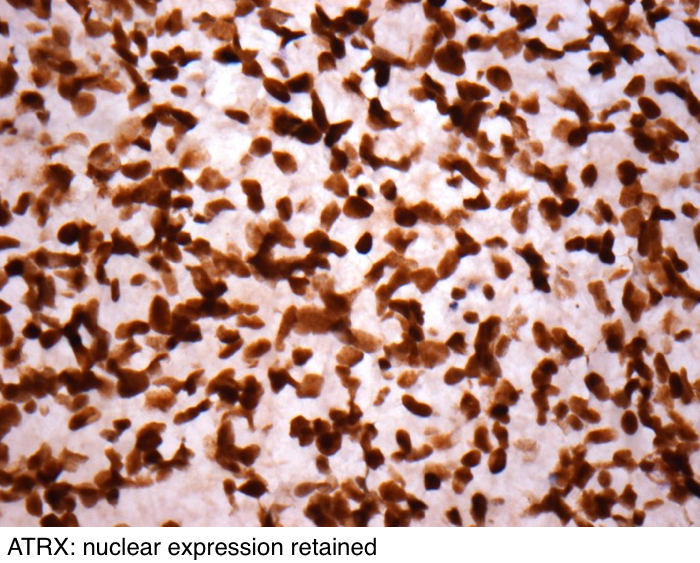 No mitoses are seen. 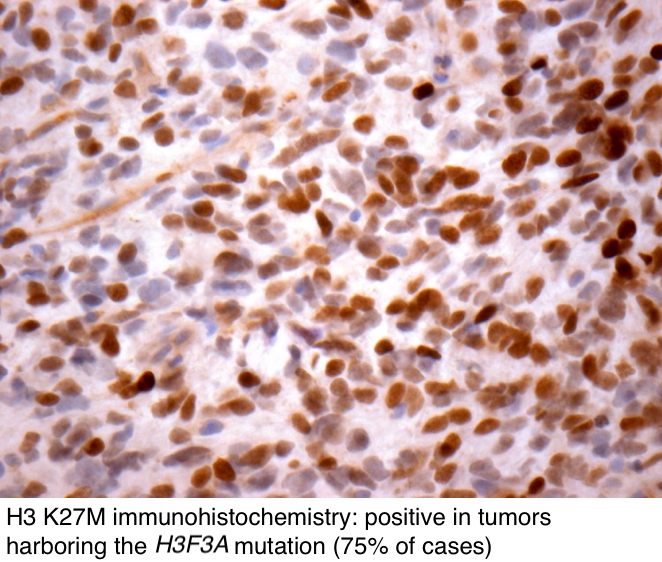 Although the histologic grade is that of a grade II astrocytoma, the positivity for H3K27M is consistent with a diagnosis of diffuse midline glioma, H3 K27M mutant, which are considered grade IV lesions due to their historically aggressive clinical behavior. This tumor was found to be arising in the pons of a 7 year old boy. 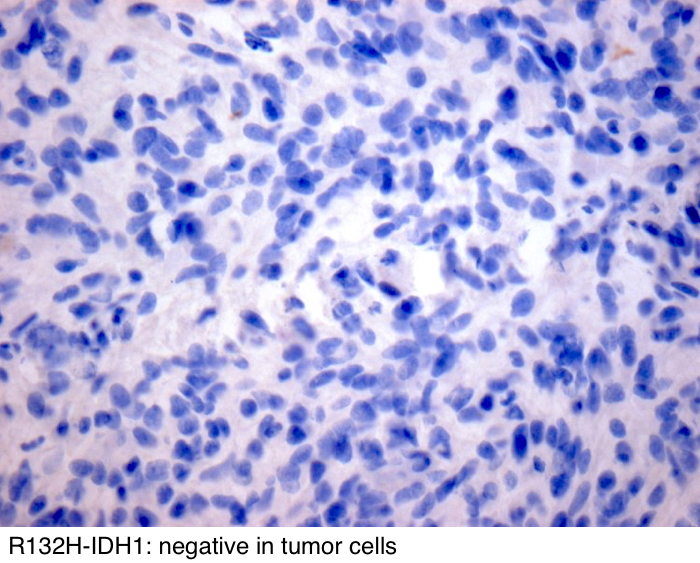 The presence of what molecular alteration would warrant a WHO grade IV designation? 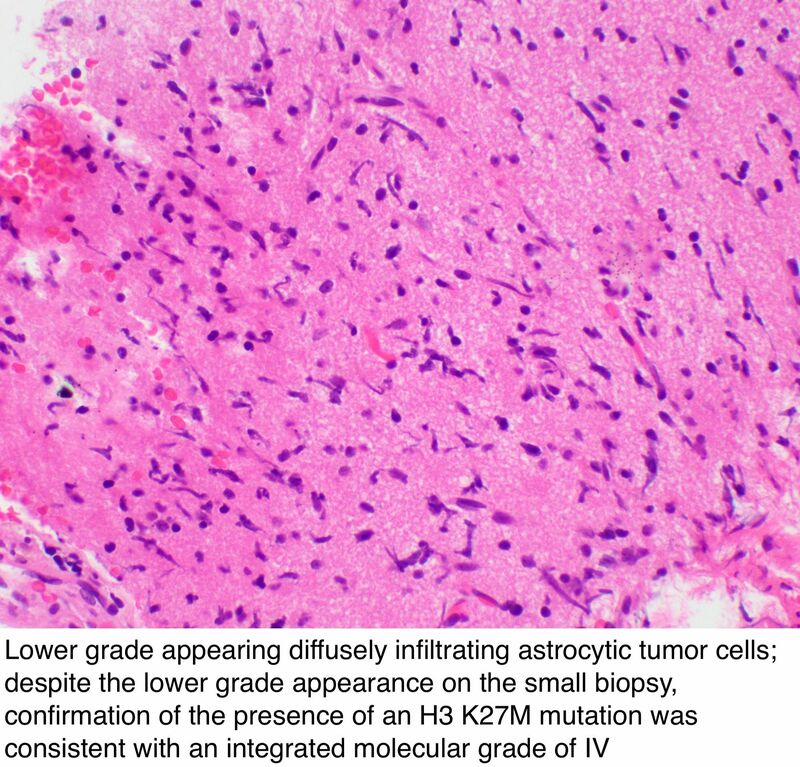 A work up of a biopsy of a diffusely infiltrating glial tumor from an 11 year old girl reveals sequencing results with the presence of a methionine substitution for a lysine at position 27 in the H3F3A gene (H3 K27M). 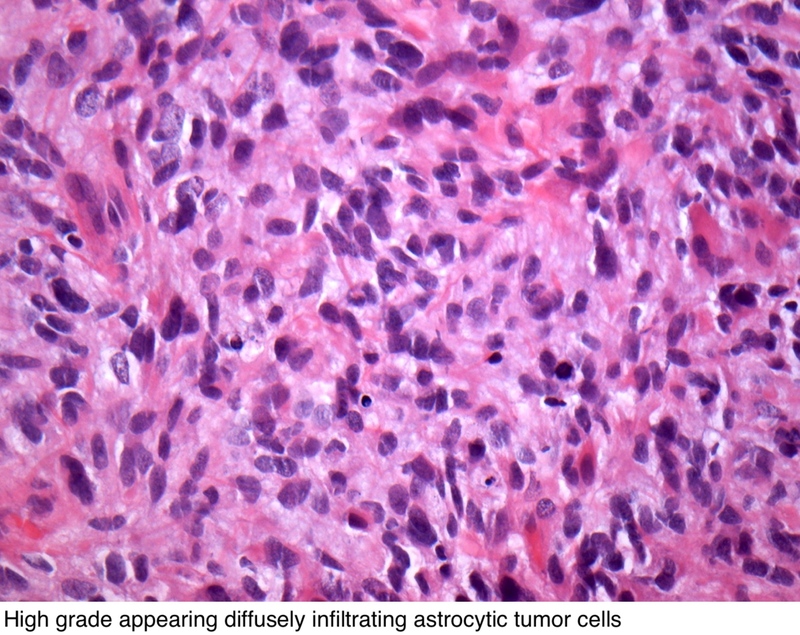 Where is this tumor most likely arising from?